Audiences in India will very soon experience the magnificence of the world’s biggest live-entertainment phenomena, Cirque du Soleil, brought to India by BookMyShow. Citibank has come on board as the presenting partner for the world premiere of Cirque du Soleil’s ‘BAZZAR’ in India. The shows will start November 2018 finding their way home in Mumbai from 15th November 2018 and Delhi from 25th December 2018 before moving to other markets. BookMyShow’s long-term association with Cirque du Soleil is aimed at establishing India as a key market to open avenues for global entertainment. Cirque Du Soleil has brought wonder and delight to more than 190 million spectators in over 450 cities on six continents. The company sells over 12 million tickets per year and has close to 4,000 employees, including 1,400 performing artists from close to 60 different countries. Unlike any other entertainment company, Cirque du Soleil will not just visit Mumbai and Delhi but will infuse in the city’s culture with the set up of The Big Top, the main tent, where the performances will take place. The Big Top itself is a wonder that is set up over a period of six days and stands tall at 19 meters (62 feet) high and is 41 meters (135 feet) in diameter accommodating 1500 people at once. A cast and crew of 62 people will be travelling to India from over 13 different countries and close to 700 tonnes of equipment will be carried via 25 sea containers. The show will feature a range of acrobatic marvels ranging from teeterboard, portage, acrobatic bike, contortion, duo roller skate, duo trapeze, aerial rope, slackline and live music with one singer and two musicians on stage. With performances pairing imagination and impressive scenography, unique characters, remarkable aesthetics and acrobatic feats; ‘BAZZAR’ will feature key Cirque du Soleil elements. The tickets for the nearly two-hour spectacular will be available starting today exclusively on BookMyShow with prices starting just at INR 1,250 (different for both cities). Written and Directed by Susan Gaudreau, Cirque du Soleil – BAZZAR will perfectly capture the high-energy excitement, collision of sounds and colours, and showcase a meeting place of diverse characters recreating a traditional Indian ‘bazaar’. Lead by their maestro in the show, the troupe comes together to invent a whimsical one-of-a-kind universe in a place where the unexpected is expected, the colourful group reimagines, rebuilds and reinvents vibrant scenes in an artistic, acrobatic game of order and disorder. 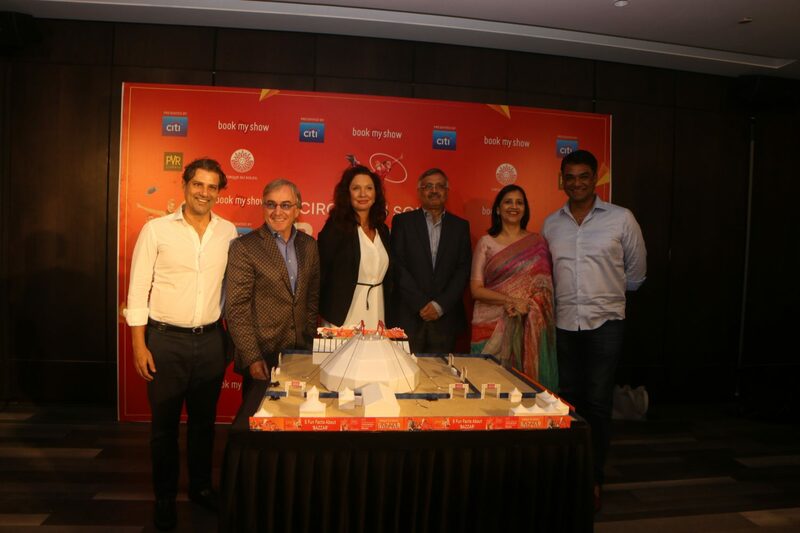 “BookMyShow has been and will continue to play a huge part in the transformative journey of the live entertainment category in India. While it has personally been a lifelong dream to work with Cirque du Soleil, their entry into India with BAZZAR will re-imagine this category. We are excited to give our growing customer base in India the opportunity to get access to this global phenomenon,” said Ashish Hemrajani, Founder, and CEO, BookMyShow. Honorable Chief Minister of Maharashtra, Devendra Fadnavis, has also expressed his support for Cirque du Soleil’s India visit as this would boost tourism in the state by exposing the audiences to new artistic and cultural experiences. Come and claim your place amidst this marketplace of merriment and creative camaraderie! Next articleYes, You Can Manage Time!